Many people around the world know about the star that drew the Wise Men to Bethlehem. There is another star that is associated with Christmas--Christianity--and it is known by much smaller percentage of the people. 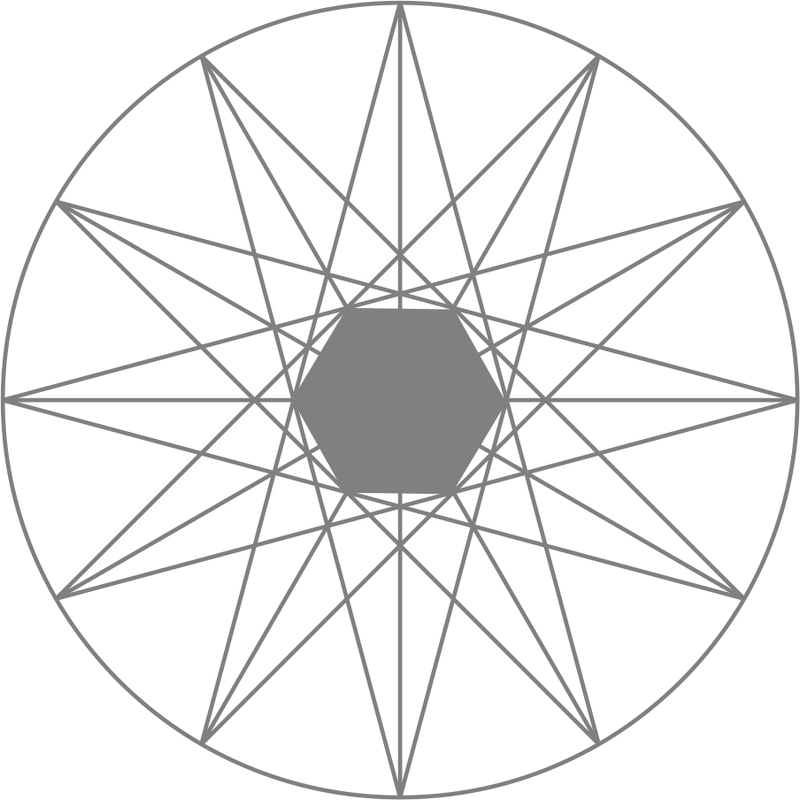 It is the twelve-pointed star that is a symbol of the cooperation of nature. The principles of the cooperation of nature bring Light back into the world. Imagine you have twelve people standing in a round room, equidistant apart, their backs to the wall and looking inward. They come together with a common goal, and that is to do what is in everyone's best interest--based on the principles of Christianity. The twelve disciples established a twelve-pointed star, and each one played a role in creating their plan based on the spiritual teachings they brought to their culture. 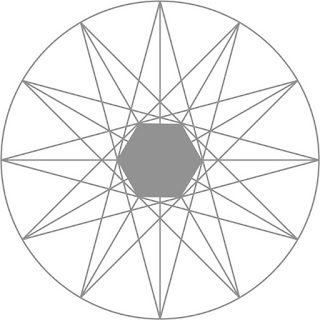 When you look at the center hexagon--their plan--you see it is completely surrounded by Light. There is no room for darkness around their plan. Everyone working together, sharing their talents and gifts, allows everyone to function on a higher level. On the other hand, grabs for power always lead to a loss of power. Five people come together to form a Pentacle of Power, the symbol for revenge. It forms a five-pointed star, and the plot associated with revenge is surrounded entirely by darkness. For each of us to create the life we want, we must work within the Light. It is a creative substance. That darkness is not Creative. An example of this cooperation of nature concept is a bee hive. Bees make honey. Spiders, on the other hand, function entirely for their own interests. They don't make honey. If you haven't seen our Tolerance brochure yet, you can find it on our website in the reference section.